Click on the picture above for a larger view. left is an example of the Dyed Suede Lace Remnants. 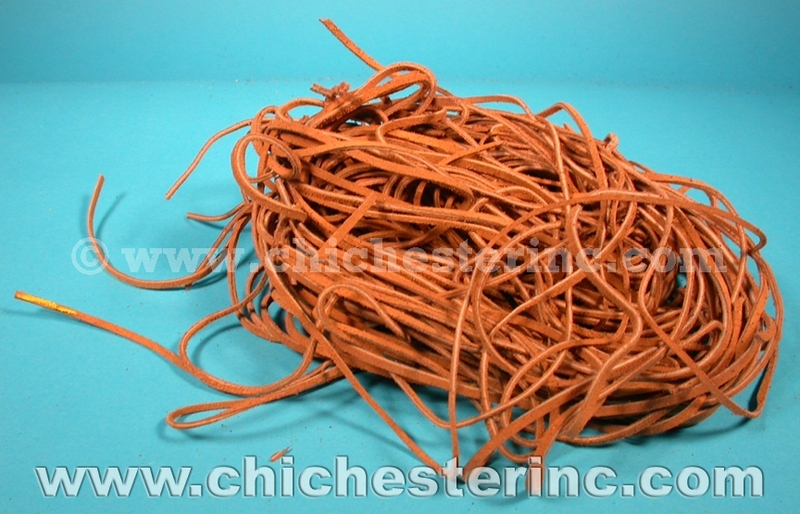 We sell Suede Lace Remnants in both natural and dyed colors. 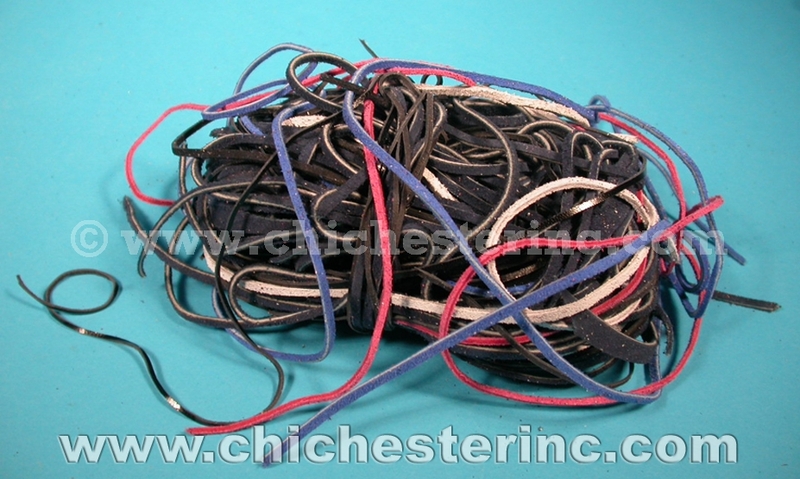 The dyed laces come in a mix and we cannot guarantee specific colors in the mix. They are sold in 8 ounce (1/2 lb.) bags. R-spec Suede Lace Remnants:Dyed:8 oz. Please call for pricing. Genus and species: Bos taurus. Ranch.